According to the Manchester Evening News, the Old Trafford fans have sent a message to the caretaker manager, Ole Gunnar Solskjaer, about the Belgium International, Romelu Lukaku. Lukaku made his debut for Manchester United last season under former manager, Jose Mourinho, after a £75 deal million between Everton and the Red Devils. The Belgian previously played under Mourinho at Chelsea but was loaned out to West Bromwich Albion and Everton before eventually signing a permanent long term deal with the Toffees. Lukaku has netted 28 times for the Red Devils so far and is ranked 19th in the Premier League's all-time leading goal-scorer with 113 goals to his name. It often gets tough for players to shine immediately for a club like Manchester United where expectations are high and the media pressure is relentless. After a decent first season with the Red Devils where he helped the club finish second in the league behind Manchester City, the first half of the current campaign didn't go as planned for Lukaku. 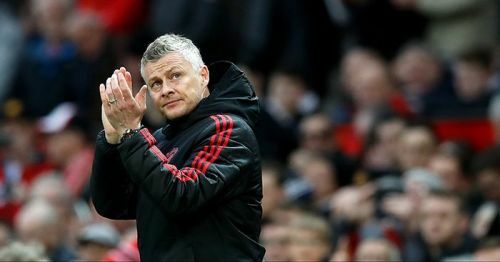 However, once Solskjaer took charge, things started to gradually improve for the striker who has now scored a brace in back-to-back games against Crystal Palace and Southampton. The Belgian had to wait for his chances as injuries to Martial and Lingard saw him move to the central forward position with Rashford playing down the side. His impressive performances in the last two games have prompted the United fans to vote for him to start as a striker against PSG ahead of Marcus Rashford in the upcoming Champions League clash. Who should play as the central striker for Manchester United against PSG? The poll had 2,393 votes which Lukaku won with 58% of the vote. Manchester United would be facing Paris Saint-Germain in the round of 16 second-leg tie after the former suffered a 0-2 home defeat in the first leg. The growing list of injury problems means United would play with a depleted side and it will be a chance for Solskjaer to look into some of the academy players.